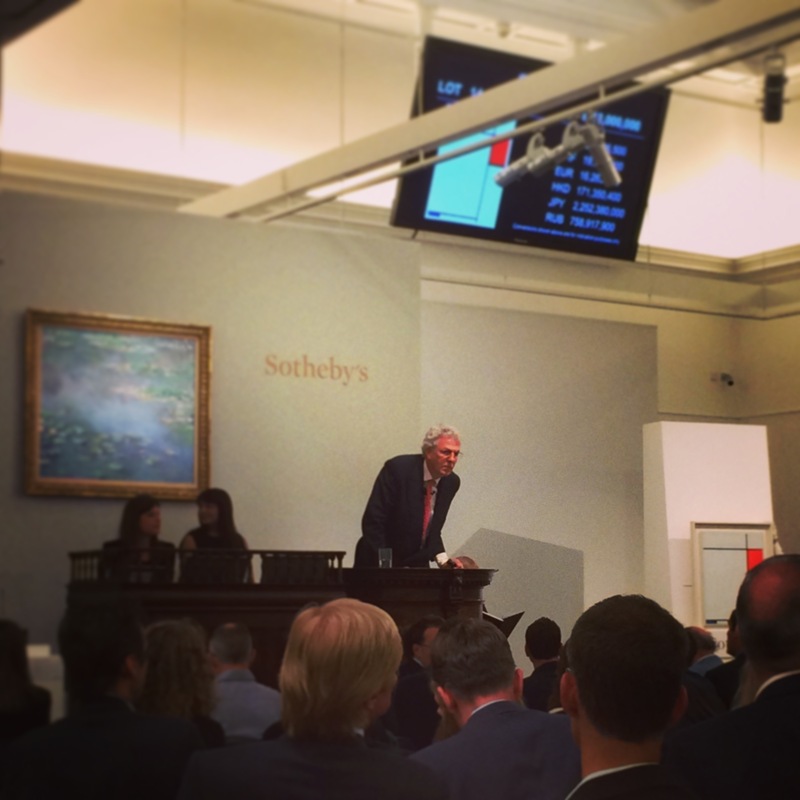 This summer’s London auctions produced a number of headline-grabbing results: Francis Bacon’s triptych of George Dyer made £26.6 million; Monet’s Water Lilies sold for £31.7 million; a Guardi veduta of Venice fetched £9.8 million and the Egyptian limestone figure of Sekhemka, sold by Northampton County Council, fetched £15.7 million. However, it wasn’t all plain sailing. It is clear that we are in a market that favours masterpieces, and if “Masterpiece” is too effusive a term for much of what has been on sale over the past month, then we can break this down to mean rare, fresh to market and, crucially, correctly priced. The market is ruthlessly selective, and works of art that fail to meet this criteria tend to suffer a cruel fate. The Old Master evening sales proved to be tale of two halves, and illustrate this two-tiered market well. Christie’s, whose performance in this sector has been very strong, assembled a sale that ultimately lacked magic; a few really good pictures were interspersed among a less exciting mix of unfashionable and over-estimated lots, a large number of which failed to sell. By contrast, Sotheby’s amassed a sale that included works from the Northumberland collection, the Coppée collection and a number of interesting and unusual pictures from the Earls of Warwick that had previously been on loan to the Met. This was museum quality stuff, totally fresh to the market, and represented a rare opportunity to buy serious masterpieces. The result: 81% of the lots sold, seventeen records fell and the sale totalled a whopping £68,342,500, making it Sotheby’s best ever London Old Master evening sale. Christie’s did, however, play an absolute masterstroke with their Modern British Sale. Sandwiched between their Impressionist and Contemporary sales, they cleverly cross-marketed what was a particularly interesting mix of works to a wide audience and got the result that they deserved. We suspect that the significant sums being poured into Hepworth, Spencer, Sutherland et al was not all from traditional Modern British collectors; this sector is increasingly receiving the international attention that it deserves. The Contemporary auctions performed predictably well, though not at the stratospheric levels witnessed in the New York sales in April; we put this down to supply rather than market conditions. However, this market appears increasingly to favour recognisable, blue-chip artists with a solid auction track record. This is understandable – the volatility of prices for artists such as Lucien Smith are enough to make any investor feel nervous! The overall picture is that of a robust market, and at the very top, a market that remains extremely strong. A few hiccups aside, the auctions performed well across all sectors, and reports from Art Basel indicated strong sales. While buyers are perhaps more selective than ever before, there appear to have been enough of them to sustain the market over the past months. We now await to see what happens when the market awakes from its long summer sojourn.